Are the prize payouts of California Mega Millions the same as the Mega Millions of other states? The Jackpot Prize system of California Mega Millions is the same as that of other states. However, the other prize levels in California Mega Millions are pari-mutuel. Where is the money from California Mega Millions used? 94 cents of every dollar spent in playing is given back to the community to aid educational institutions like schools and colleges. Some of it is used in player prizes and retail compensations. Will be prizes be subject to taxes? Any prizes above $599 are subject to taxes and other offsets required by law. There are no California state/local taxes. As long as the group of winners is less than 100, the prize amount will be shared. How much time do I have to collect the prize I am enlisted for? If you win the Jackpot prize, then you must collect it before 1 year. All other prizes can be collected within 180 days. How will I receive my Jackpot Prize? The California Mega Millions Jackpot can be paid in 26 annual payments. You will have to wait 60 days if you want to receive the full payment in cash. Will state taxes be deducted from the amount I receive? Every prize above $599 is subject to taxes and other offsets. Local state taxes are not deducted. 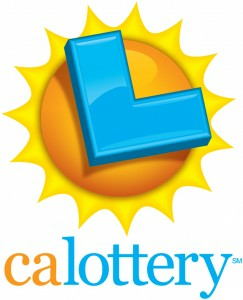 Are the prizes of California Super Lotto Plus shared among multiple winners? This only happens if the group of winners is less than 100. The prize amount is shared then. How much time to I have to collect my prize? You can collect your prize within 180 days after which it is donated mainly to the education system. What is the probability of winning a prize in California Fantasy 5? The probability of winning any prize in California Fantasy 5 is 1 in 9. The probability of winning the Jackpot is 1 in 579 thousand. What is the California Fantasy 5 Bonus Bucks option? When you play California Fantasy 5 above $5 on a single ticket, you will receive a Fantasy 5 Bonus Bucks code. This code can be entered online for a second chance to win a prize on an additional draw. What is the probability of winning any prize in California Daily Derby? The odds of winning depend on the prize category. The probability of winning the grand prize in California Daily Derby is 1 in 1.32 million. Are the California Daily Derby draws fair? The draws take place through an automated draw machine which is a standalone computer that cannot be sabotaged or tampered with. The drawing machine draws numbers completely randomly. The draws are videotaped and observed to make sure that the numbers drawn are not fixed.